Cascais is a charming Portuguese town that is both an outstanding holiday destination and enjoyable day trip from Lisbon. 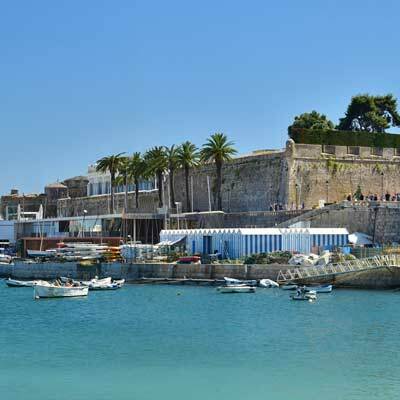 Cascais has a delightful historic centre, with a range of interesting tourist attractions, while the surrounding coastline comprises of beautiful sandy beaches. Cascais is ideal for a day trip from Lisbon, as it is connected by a regular and inexpensive railway. 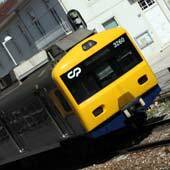 This guide will explain in detail the Cascais train including prices, links to timetables and station information. 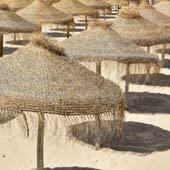 For a guide about travel from the airport to Cascais please click here. Cascais is situated 30km to the west of central Lisbon, and both destinations are on the northern banks of the Rio Tejo estuary. Between Lisbon and Cascais are many wonderful beaches, and this popular coastline is also served by the Cascais urban railway. 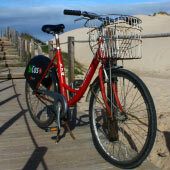 It is not advisable to drive to Cascais as there is very limited car parking, and during the summer it can be very difficult to find a car parking space. There are bus services between Lisbon and Cascais, but the journey times are longer, and the main bus station is not as conveniently located as the train station. 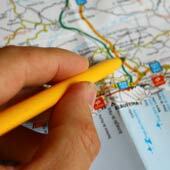 Therefore, the recommended means of travel from Lisbon to Cascais is by train. The Lisbon to Cascais railway is a short urban line that extends the length of the Lisbon coastline. The railway is operated by CP (Comboios de Portugal), the national train company of Portugal. 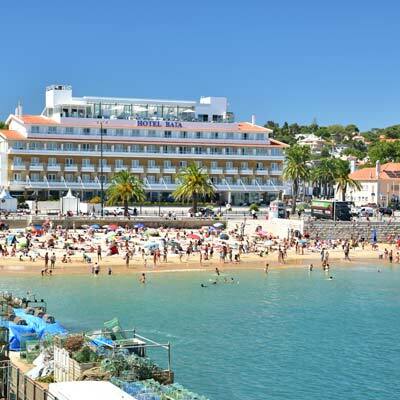 In Lisbon, the train departs from the Cais do Sodre train station (GPS: 38.70581, -9.14446) and at the western terminus is Cascais station (GPS: 38.70075, -9.41839), which is in the central of Cascais. Cais do Sodre is connected to the green metro line and is the final metro station on the green line. Cais do Sodre is within walking distance of the main tourist areas of Baixa and Alfama, and the route follows the pleasant Av. Ribeira das Naus waterfront. 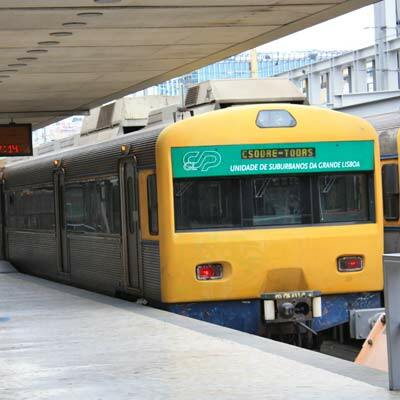 The Cascais railway passes through the popular districts of Belem and the docks of Alcântara-Mar but these services are less frequent Monday to Friday and require a connection at Oeiras. Generally, Cais do Sodre is the better departure location. A single ticket from Lisbon to Cascais passes through four fare zones and costs €2.25/€1.15 (adult/child). There are no return tickets, so the price of a return is €4.50/€2.30 (adult/child), the price of two single tickets. 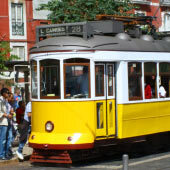 The train fares are charged to the Viva Viagem card, which is the reusable public transport ticket for all of Lisbon. 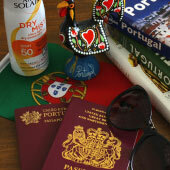 The initial purchase of the Viva Viagem card is €0.50. Annoyingly the Viva Viagem can only store one type of ticket at a time; so if a card has an unused metro or bus ticket another one must be purchased. 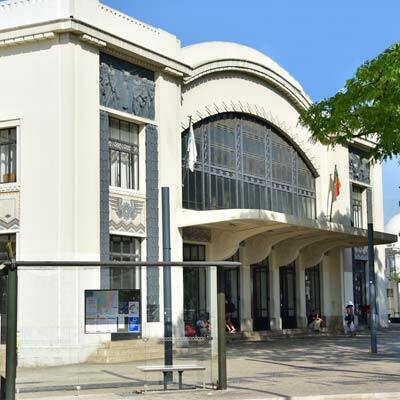 In Cais do Sodre, tickets can be purchased from the ticket office, which frequently has long queues, or from ticket machines. These machines have instructions in English (and most major European languages) and are relatively straightforward to use. Cais do Sodre is a busy train station so always use sensible precautions so as not to attract pickpockets and other opportunistic thieves. 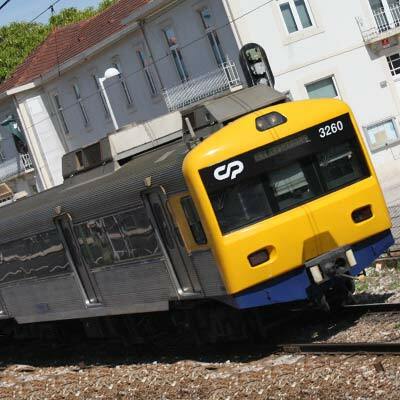 The Lisbon to Cascais railway is an urban train service, therefore tickets cannot pre-booked and are purchased on the day of travel. 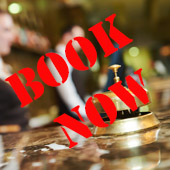 There is no need to pre-book as there are always seats available and there is sufficient space for luggage. Tickets must be purchased before boarding the train and there are barriers between the station concourse and the platforms. 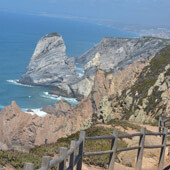 The train route follows the coastline and provides some great views over the sea, for the best views sit on the left side when departing from Lisbon or right side from Cascais. There have been reports of petty crime occurring late at night on this train line, if travelling late always sit in the busiest carriage. The train route is perfectly safe during the day. 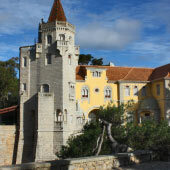 It is relatively easy to drive to Cascais from Lisbon by following either the scenic N6 or faster A5. Parking in both Lisbon and Cascais is difficult and driving in Lisbon is notoriously difficult. Generally, it is easier to catch the train than drive to Cascais. The only time we recommended a car is if you are on holiday in Cascais and plan for a touring holiday of the surround region.